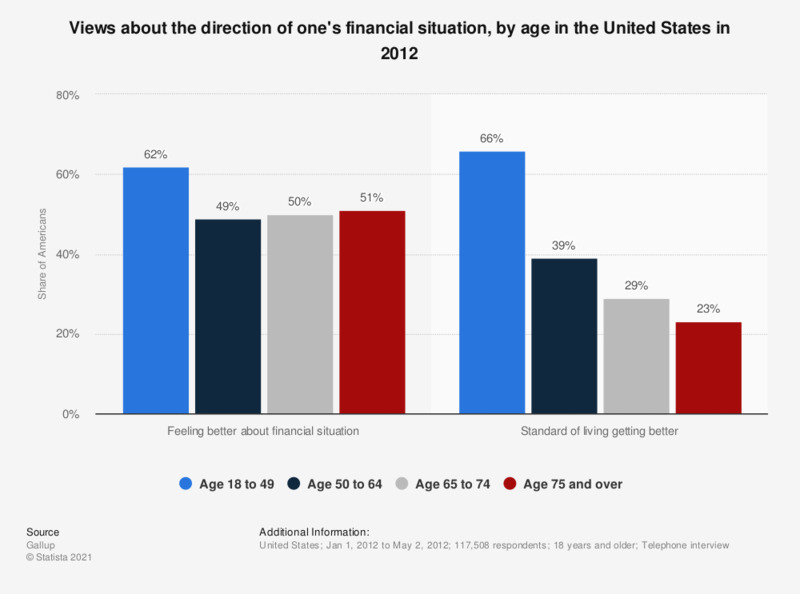 This statistic shows the views of survey respondents, taken between January and May 2012 in the United States, about the direction of their financial situation. 62 percent of 18 to 49 year olds were feeling better about their financial situation and 66 percent from the same age group felt their standard of living was improving. Over the last year, would you say that each of the following has gone up, gone down, or stayed about the same: cost of food shopping? Over the last year, would you say that each of the following has gone up, gone down, or stayed about the same: cost of travelling on public transport?